AUSTRALIA’S hottest bands and some of SA’s coolest food and wine will come together again at the Fleurieu Peninsula’s freshest venue when Lake Breeze Wines hosts the second Handpicked Festival. 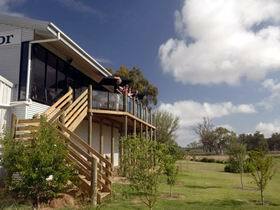 Handpicked food trucks will provide a range of cuisines to complement Lake Breeze’s wine selection. 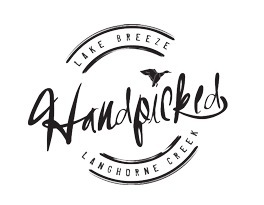 The Follett family, who own Lake Breeze, conceived the Handpicked Festival to help put their award-winning boutique winery and the wider Langhorne Creek region, just one hour from Adelaide, on the map. After a successful launch in 2014, the Handpicked Festival will return on Saturday 14th of November, as they begin to announce their impressive artist line-up for a day filled with great food, wine and music. Birds of Tokyo, Conrad Sewell and Dan Sultan will headline the festival at the award-winning Lake Breeze Winery in Langhorne Creek, South Australia, where they will perform to a crowd of thousands. “It’s not every day these talented musicians play in regional South Australia… These acts will really help put Lake Breeze Winery and Langhorne Creek on the map,” says Cooper. Birds of Tokyo are a band who need little introduction – their insistent, bittersweet, rock sounds have resonated deeply with Australian critics and fans. Following two acclaimed albums, the band’s self-titled third studio release spent over eight months in the Australian Top 20 and went certified double platinum. Joining them will be the extremely talented Conrad Sewell who has recently performed at the 2015 Coachella Festival in Los Angeles, and toured alongside Ed Sheeran on his sell out Australian tour. The 25-year-old newcomer is creating waves in the music industry. Originally from Brisbane but now LA based, Sewell has generated massive buzz courtesy of his single ‘Start Again’. With over 170 million streams on Spotify internationally, Sewell propelled into the world spotlight, peaking to the top of iTunes in ten different countries. 2014 ARIA Winner for Best Rock Album, Dan Sultan completes this year’s line up of headliner artists. The past few months have seen the award-winning Melbourne artist deliver breathtaking live performances both in support of Bruce Springsteen and on his own ‘Under Your Skin’ headline tour. The release of his long-awaited third album, Blackbird, shot to number four on the iTunes charts and spent over seven weeks in the Top 40 ARIA album charts. Blackbird is the culmination of many months of writing and recording; a simple journey of a man singing about love, desire and identity. The Handpicked Festival is not your run of the mill music festival; catering to both music lovers and families alike, with some of South Australia’s best food, wine and entertainment, situated only fifty minutes out of Adelaide. “From the young festivalgoer who is desperate to see the hottest musical talent Australia has to offer, through to family groups who are looking for a relaxed and enjoyable day out, the Handpicked Festival is suitable for all age groups and people of all musical tastes,” says Cooper. Enjoy world-class music from Birds of Tokyo, Conrad Sewell and Dan Sultan with supporting local acts to be announced in the coming weeks.